TA-312/PT Weight: 8 Lbs and the the TA-312A/PT is 7 Lbs. 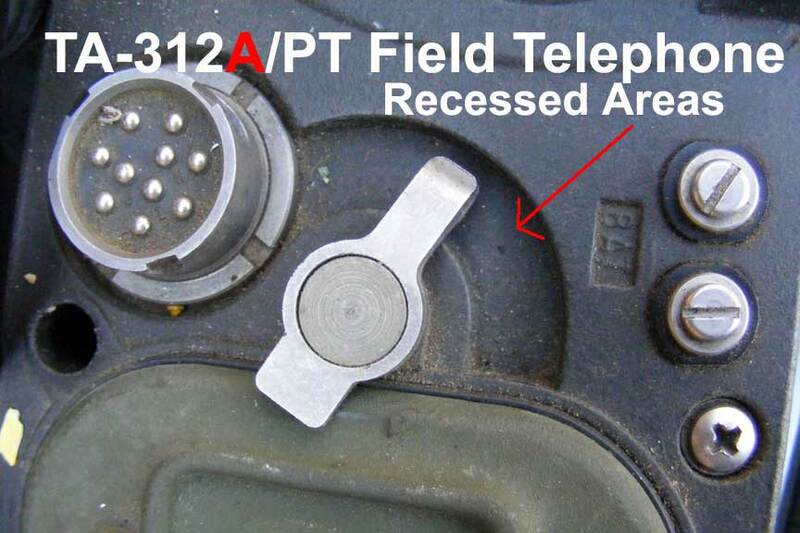 The U-79/U Receptacle Connector (for external H-182/U headset) and the EXT/INT Switch are the most obvious physical features not on the TA-43/PT. Notice that the TA-312A/PT top front panel differs from the TA-312/PT in that it has recessed areas around the knobs and switches. 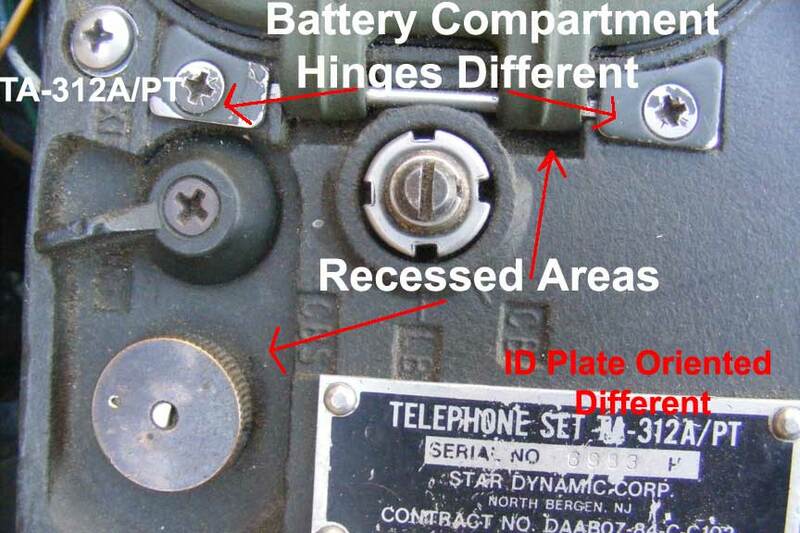 Also the Battery Compartment Cover hinge pins on the TA-312A/PT are braced in place by separate brackets, although the cover is generic to all these field phones. And the TA-312A/PT's I.D. name plate is oriented differently than the other phones. 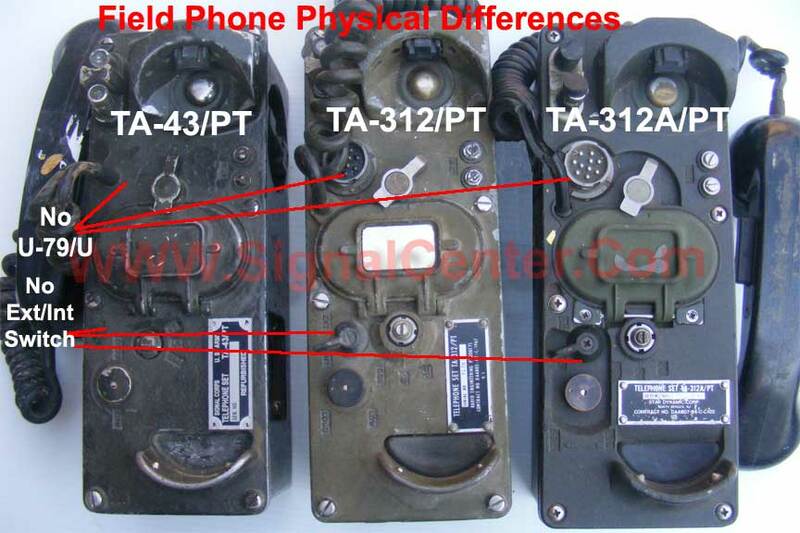 The manufacture of this telephone is Star Dynamic Corporation. The most obvious difference with the TA-312A/PT is that the complete enclosure is fabricated of a non metallic material such as Fiber Glass or hard plastic -- TA-312A/PT units that develope cracks for various reasons can be readily repaired with epoxy or super glue, if the damage is minor.